Thank you to our NERVES Partners — a huge source of support, not only at the Annual Meeting, but year-round! If your practice is in need of services or products at any time, please remember the companies below who are strong supporters of NERVES. Would you like to connect with influential neurosurgery medical practice administrators across the United States? The 2019 NERVES’ Partner Program has a number of opportunities for your company to consider! The program is designed to help you build relationships with our national membership – of which over one-third attend the Annual Meeting – via face-to-face contact at the Annual Meeting, and throughout the entire year. 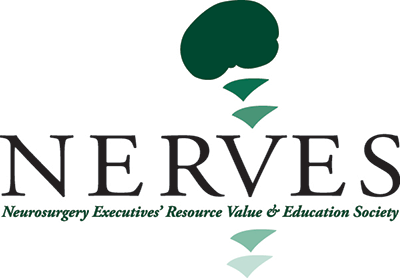 If you have questions about the NERVES Annual Partner Program, contact [email protected] or call 704-940-7386.